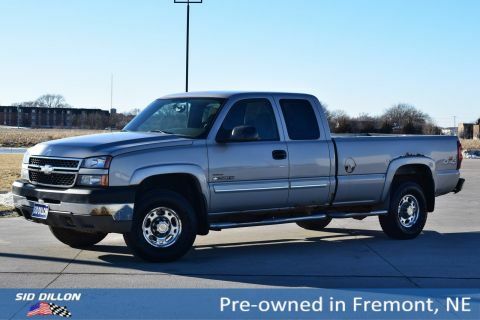 Come see this 2008 Chevrolet Silverado 2500HD LT w/1LT while we still have it in stock! SUSPENSION PACKAGE, HANDLING/TRAILERING, HEAVY-DUTY includes 35mm twin tube shock absorbers and 36mm front stabilizer bar (STD), SKID PLATE PACKAGE, FRAME-MOUNTED SHIELDS includes front underbody shield starting behind front bumper and running to first cross-member, protecting front underbody, oil pan, differential case and transfer case, SAFETY PACKAGE includes (JF4) Adjustable power pedals and (UD7) Rear Parking Assist , XM SATELLITE RADIO, DELETE, WHEELS, 4-16 X 6.5 (40.6 CM X 16.5 CM) 8-LUG CHROME-STYLED STEEL includes chrome center caps and steel spare (STD), TRANSMISSION, 6-SPEED AUTOMATIC, HEAVY-DUTY, ELECTRONICALLY CONTROLLED with overdrive and tow/haul mode (STD), TIRES, LT245/75R16E ALL-SEASON, BLACKWALL (STD) Includes 5 tires with (E63) Fleetside pickup box. 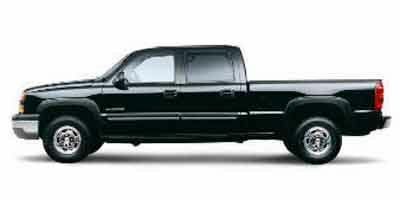 Includes 4 tires with (ZW9) pickup box delete. 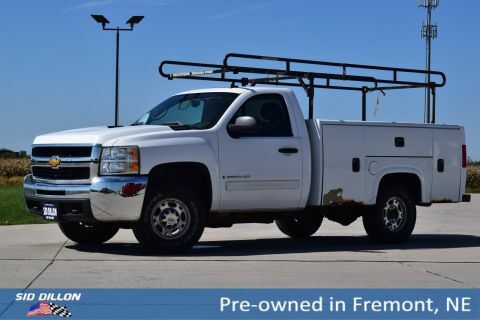 ), TIRE, SPARE LT245/75R16 ALL-SEASON, BLACKWALL includes 16 (40.6 cm) steel spare wheel and spare tire carrier, located on top of frame crossmember, SEATS, FRONT 40/20/40 SPLIT-BENCH, 3-PASSENGER, DRIVER AND FRONT PASSENGER MANUAL RECLINING center fold-down armrest with storage, lockable storage compartment in seat cushion (includes auxiliary power outlet), adjustable outboard head restraints and storage pockets on Extended and Crew Cab models (STD), REAR PARKING ASSIST, ULTRASONIC with rearview LED display and audible warning. 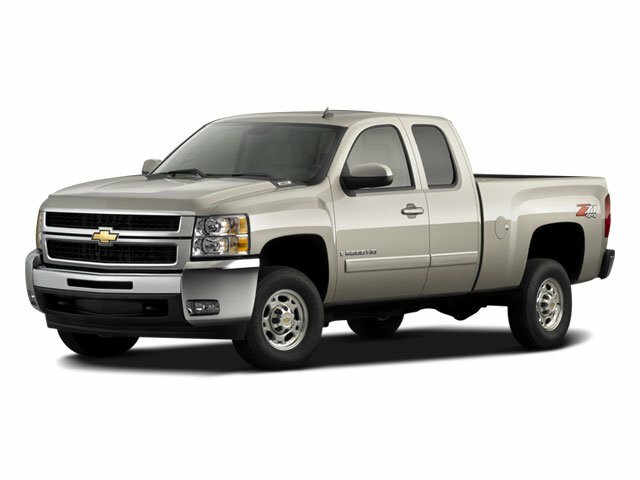 As reported by KBB.com: Whether purchasing for commercial construction, agriculture or recreational towing, if your needs are truly heavy-duty you'll likely find those needs met with the 2008 Chevrolet Silverado HD, which offers all of the virtues, with few of the vices, normally associated with a heavy-duty truck.